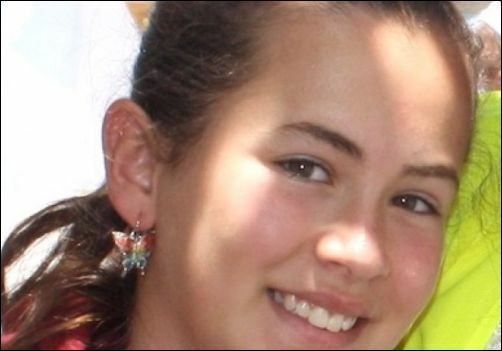 Jerusalem, Israel — June 30, 2016 … Hallel Yaffa Ariel, a 13-year-old Israeli-American girl, was stabbed to death in her Kiryat Arba bedroom Thursday morning Kiryat Arba by an Islamic terrorist. Hallel was sleeping when a Palestinian entered the house in the village near Hebron and murdered her, authorities said. “Just like any teenager on summer holiday, my daughter was asleep, calm, relaxed. A terrorist murderer came and murdered her in her bed,” her mother, Rena Ariel, told Israel’s Channel 2. Security guards on the settlement entered the home and found the suspect still inside, the IDF said. During a fight, one security guard was stabbed, and the intruder was shot and killed. The Palestinian Ministry of Health identified the attacker as Mohammed Tarayra, 17, from Bani Naim, a village east of Hebron. 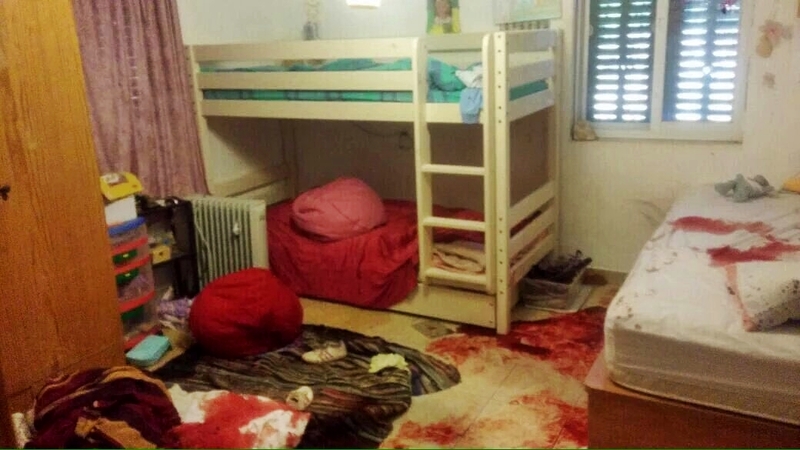 “This morning a terrorist sneaked into the bedroom of a 13-year-old girl, Hallel-Yaffa Ariel. He murdered young Hallel in cold blood. A picture of her blood stained room is almost too hard to see. There’s a teddy bear still on her bed, a red beanbag chair, some pictures on the wall, shoes tightly packed in a bin next to her bunk bed. Why would any person do this? You don’t murder a sleeping child for peace. You don’t slit a little girl’s throat to protest a policy you don’t like. You do this because you’ve been brainwashed. You’ve been brainwashed by a warped ideology that teaches you that this child isn’t human. We will not let barbarism defeat humanity. There’s no middle ground between beautiful Hallel and her unspeakably evil murderer. Today, each of us is going to fight back. I ask you to walk into your child’s bedroom before they go to sleep. I ask you to hug them. I ask you to kiss them. Teach them that the values that Hallel’s murderer most detested – freedom, diversity, pluralism – will never die; we’ll always hold them dear. Tell them that we will never let fear, evil and terror triumph; that we will always stand for justice. And this is how we will fight back. We fight back first by fighting back, fighting the terrorists, fighting their backers, fighting those who incite for such murder, whether in Hebron or in Orlando, or in Berlin, or in Ankara, or in Belgium, anywhere. We fight back by making sure that our collective moral compass doesn’t waver even a millimeter. Today we will cherish Hallel’s memory. We will defend and honor her dignity by redoubling our efforts around the world to defeat the scourge of radical Islamist terror. Following the attack, the Israel Defense Forces sealed off access to Bani Naim to everyone except humanitarian and medical workers. Ariel was laid to rest in Hebron in an emotional ceremony attended by hundreds of people, including several senior Israeli politicians.